Handcrafted; no two pieces are exactly the same. 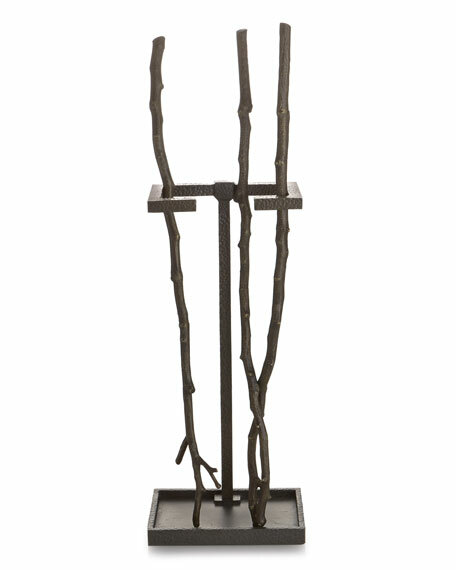 Made of powder-coated iron and oxidized bronze. 8.75"W x 5.5"D x 20.5"T overall.